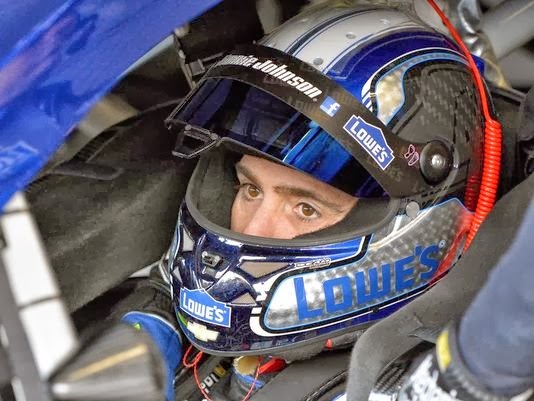 Gordon Wins Martinsville - 3rd In Chase! 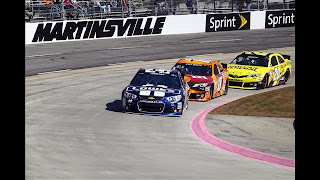 MARTINSVILLE, VA – Will we see another amazing comeback in 2013? Team Oracle USA had a fairytale comeback story successfully defending the America’s Cup from Team Emirates New Zealand from a 0-6 deficit. 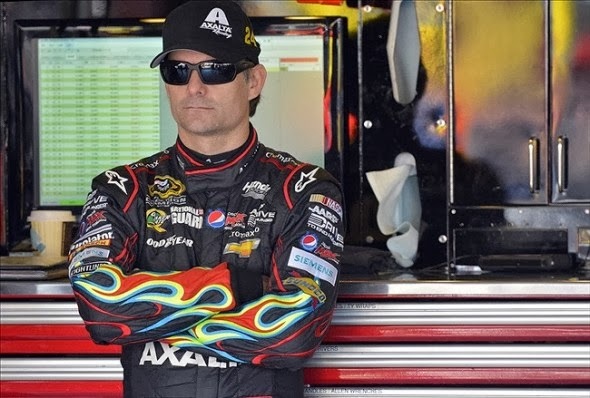 With his win at Martinsville Sunday, Jeff Gordon may very well be the next fairy tale in this NASCAR season. Barely making the cut in the Chase in 13th place, Gordon, crew chief Alan Gustafson and his team, put their heads down and showed that they still have it. Gordon now sits in 3rd place behind Matt Kenseth and teammate Jimmie Johnson. "I'm just so proud of my team for never giving up. We've shown it all year long and we've been through a lot. 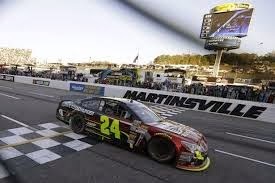 But this is making it all worth it, to get this huge win at Martinsville," Gordon said in Victory Lane. "Man, what a great race car." Gordon led 78 laps, including the final 21 laps following a crucial pass in turn one clenching the lead from Kenseth. Martinsville has proved to be a tough one for Kenseth, who has yet to win one here after 28 starts. "Jeff's experience got me. I just don't have that much experience running up front here," Kenseth said. "I had something that was working, but I was hurting the rear tires and ended up hurting the front tires, too." His tire issue was also evident at the end when he could barely hold off Clint Boyer for the 2nd spot. The race proved to be a wild ride with some aggressive driving. With a total of 17 caution periods and 111 laps run under yellow there were a few tempers flying. The most notable of the race was a duel between Chase points leader Jimmie Johnson and Roush-Fenway’s Greg Biffle. Biffle accused Johnson that he was driving way to aggressively and that he caused the Ford’s bumper to be almost ripped off requiring an extra pit stop to fix it. Following the race, Biffle confronted Johnson (Video). “We finally have a good car at Martinsville, and we worked our way all the way up to sixth or seventh -- and then we just got a rear bumper tore off. 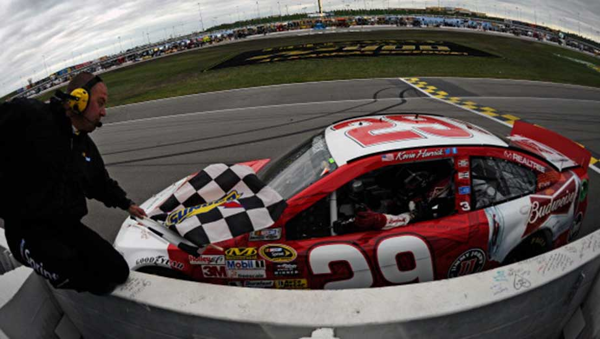 It takes a lot to get a rear bumper tore off,” Biffle said. “I've got to look back and see what happened. He claims he was inside of me; it sure felt like he hit me from behind and rubbed across [the back of the car]. 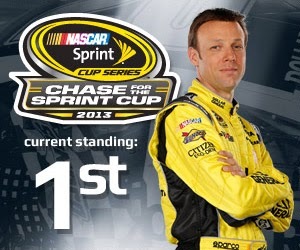 With only three races left, the Championship is up in the air with Kenseth and Johnson tied in first place. 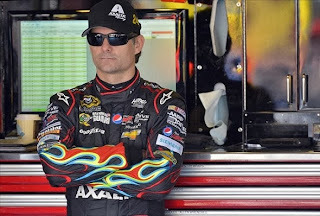 Jeff Gordon is in third place, 27 points behind the leader and Kevin Harvick only one point behind in fourth. Looks like it will be an exciting end to 2013. 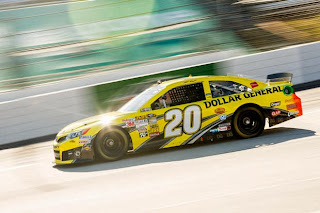 KANSAS CITY, KANSAS –Matt Kenseth’s slim, eight point lead in the Chase just got slimmer as he was only able to manage an 11th place finish in a race marred with trouble. Most, if not all the drivers struggled this weekend with the race-spec Goodyears. But nobody, just nobody struggled as much as Kyle Busch. The man has never won a race at this track. And when he crashed his No 18 M&M Toyota during Saturday morning practice, I am sure he got that feeling again. He made a valiant effort starting from the back of the pack, but when he contacted Carl Edwards on lap 200, it was the end of his race. "I have no idea what happened on the last one," Busch said. "All I know is we're in Kansas, right?" 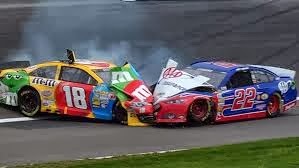 And to add insult to injury, Busch wrecked Brad Keselowski in the Nationwide race. At the top of the heap, lame duck driver Kevin Harvick won his third race this season from the pole moving him up into third place, 25 points out. "To sit on the pole and win the race, obviously, is a great weekend," Harvick said. "Controlling our own destiny by doing that, putting ourselves closer to where we need to be with the championship race ... so we’ll just keep having fun and doing what we’re doing." 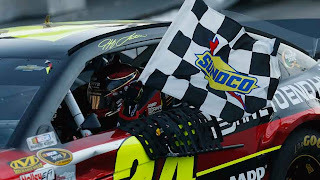 Second place went to Kurt Busch and the ever consistent Jeff Gordon placed third, placing them 5th and 4th in the Chase respectively. The problems with the Goodyear tires that many teams struggled with has been blamed on the newly resurfaced track. 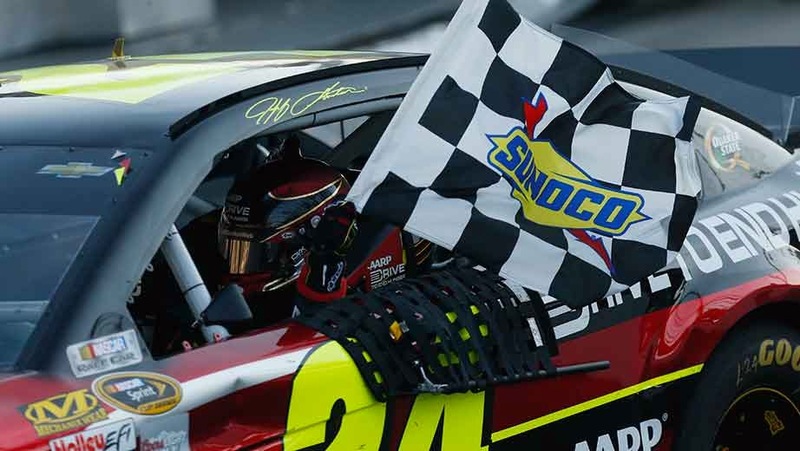 Four-time Cup champion Jeff Gordon called the racing surfaces on newly paved tracks "too smooth.” “We don't want bumps," Gordon said. "I'm not talking about bumps. I'm talking about the abrasiveness of the race track. It doesn't dissipate heat, doesn't wear the tires … all it does is cause friction and heat and failures and then Goodyear has to build a very hard, durable tire." The Kansas surface was repaved last year, between the facility's two Cup dates. Gordon said he "applauded" Goodyear's efforts, saying the supplier is "doing the best they can."